One win away from payback! The Finals of the 2012 Philippine Collegiate Champions League tipped off today at the Filoil Flying V Arena in San Juan City, the Finals this year features two teams who battled in the UAAP Finals this year. 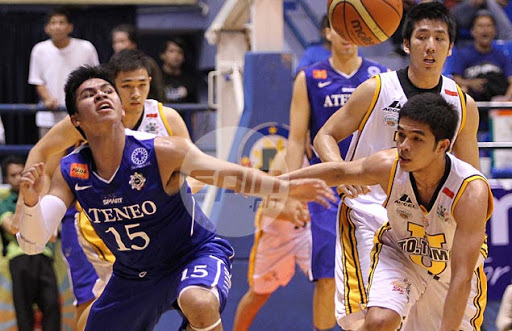 The UST Growling Tigers and the Ateneo Blue Eagles. For the Growling Tigers, it was a shot for redemption as they enter the PCCL Finals for the first time in the history of the tournament and going up against the team they lost to in the UAAP Finals, the Blue Eagles who aim to continue their long dominance in Philippine collegiate basketball. However in Game 1 of the Finals today, the Growling Tigers drew first blood as they defeated the Blue Eagles 82-76. The Growling Tigers were led by Kevin Ferrer who scored 18 points, 5 rebounds and 4 assists on 9-9 shooting from inside the arcincluding a dunk which threw me out my seat with joy. It was a balanced scoring effort for the Tigers as many players Melo Afuang, Karim Abdul, Jeric Teng, Aljon Mariano, Clark Bautista (who came in at the arena from UST in the 3rd quarter)and Jeric Fortuna(who was riddled with foul trouble)all contributed to the victory. The Tigers also played without head coach Pido Jarencio who was out with the german measles and is questionable for Game 2 on Thursday. Assistant coach Estong Ballesteros called the shots for the Tigers in Jarencio’s absence. The Tigers are now up 1-0 in the best of three finals series and can win their first PCCL Championship in Game 2 on Thursday, 4pm once again at the Filoil Flying V Arena in San Juan City and will be on live telecast on Studio 23. Prior to the game, the FEU-Diliman Baby Tamaraws will face off against the San Beda Red Cubs at 2pm. Meanwhile, the San Beda Red Lions finish third in the PCCL for the second straight season as they defeated the Southwestern U Cobras 64-56, Kyle Pascual and Art dela Cruz led the Red Lions with 14 and 12 points respectively while limiting SWU’s “King Cobra” Ben Mbala to 16 points after scoring a PCCL-record 41 points in their game against UST. Now the Tigers are one win away from exacting revenge against the team that broke the hearts of the Thomasian community last month in the UAAP. The entire Thomasian community as shown all-year long will be there to give their prayers and show their support for these players. I can feel it, we all can feel it! The time is now! Why not wait for next year when it can be done now! and the PCCL championship will be a way to cap off the collegiate careers of “The Captain” Jeric Fortuna and Melo Afuang. I’m really hoping, it all ends on Thursday. KEEP CALM and PAYBACK will be SERVED on THURSDAY! Here we go again! España vs Katipunan Round 2! More than a month after these two teams battled it out for the UAAP championship. Two proud institutions will meet once again. This time to determine the one true National Champion. It’s UST vs Ateneo, España vs Katipunan, Gold vs Blue, Growling Tigers vs Blue Eagles Round 2! These two teams are no strangers in the Finals of basketball, as these two teams met in the UAAP Finals this year where the Blue Eagles swept the Growling Tigers to win their fifth straight UAAP title which is the second longest championship streak in UAAP history behind the streak set by the UE Red Warriors in the 1960s behind legendary coach Baby Dalupan of seven consecutive championships (1965-1971). More than a month later their legendary duel in the UAAP, these two teams will meet again, this time in the Philippine Collegiate Champions League. The road for these two teams to get to this point of the tournament were different. The Growling Tigers began the tournament in the Luzon-Metro Manila regionals where they faced off against the runner-ups of the NCAA and their sister school, the Colegio de San Juan de Letran Knights who played without their father and son tandem of Coach Louie Alas who resigned after their defeat in the NCAA Finals against the San Beda Red Lion and Kevin Alas who is the main man for the Knights. Despite these absences, the Knights were able to push the Tigers to the limit, however the Tigers escaped with a 78-73 victory to advance to the Luzon-Metro Manila regional finals where the faced off against the UAAP’s Adamson Soaring Falcons who had gone through a long road to the Finals competing in the Metro Manila qualifiers defeating the JRU Heavy Bombers, La Finns Scholastica Lionhearts, De La Salle Green Archers, and the defending PCCL champions the San Sebastian Golden Stags to advance to the Luzon-Metro Manila regional finals. The Tigers blew out the Falcons 88-64 to win the Luzon-Metro Manila regional finals and advance to the Final Four. In the Final Four the Growling Tigers finished with a 2-1 record where they defeated the Ateneo Blue Eagles (76-66) and the NCAA Champions San Beda Red Lions (63-60), but lost in overtime against the CESAFI Champions Southwestern University Cobras (91-93). Nevertheless, the Tigers advanced to the PCCL Finals for the first time in history. Meanwhile for the UAAP Champions the Ateneo Blue Eagles, they advanced into the PCCL Final Four automatically. However, the Blue Eagles are not coached by champion coach Norman Black as they have interim coach Gabby Severino calling the shots in the PCCL. The Eagles lost their opening assignment against the Growling Tigers (66-76), but were able to bounce back as they rout both the Cobras (96-78) and the Red Lions (66-49) to finish at 2-1 and advance to the PCCL Finals for the sixth time in the ten year history of the tournament. 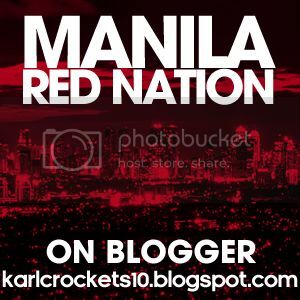 With both teams having intact lineups from their UAAP title run, it will be an emotional series for players who will play their final games in their respective teams like Jeric Fortuna and Melo Afuang for the Growling Tigers as well as Greg Slaughter, Nico Salva, Oping Sumalinog, Justin Chua and Tonino Gonzaga. It will also be a preview of what’s to come in the next UAAP season as the Tigers will feature a near intact lineup with Karim Abdul, Jeric Teng, Aljon Mariano, Clark Bautista, Kevin Ferrer, and Kim Lo to name a few. While the Eagles will be led by Kiefer Ravena and backed up with players like Juami Tiongson, Ryan Buenafe, Nico Elorde, Von Pessumal to name a few. For the Growling Tigers, they want redemption for their loss in the UAAP Finals against the Blue Eagles and win their very first National Championship. As for the Blue Eagles, they want to establish their dominance and claim themselves as the most dominant collegiate basketball team in the country. Evey one knows who I’m rooting for, and we want PAYBACK! for the loss against the Blue Eagles in the UAAP. It will be another exciting Finals series in the Philippine Collegiate Champions League. Fueled for UST! Bring home the crown! Tight race in the West. Heat retake control atop the East. Kevin Love returns in Minnesota. We are now four weeks into the new NBA season, plenty of things have happened since. 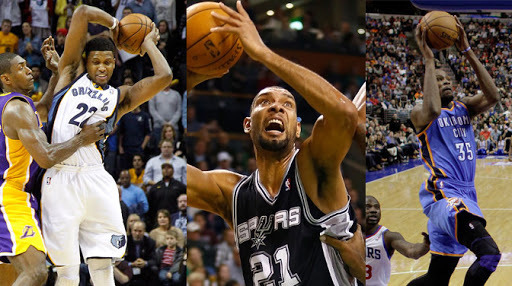 Now here are some of the highlights of Week 4 of the 2012-13 NBA season. Three teams, fighting atop the West. On top of the Western Conference Standings, it has been a three-way race featuring teams that are no strangers to lead the conference. Sitting on top the West at the moment are the Memphis Grizzlies who are at 9–2 and holding on with the best record in the NBA. Then they are followed by the San Antonio Spurs who are at 10-3, and in third are the reigining West Champions Oklahoma City Thunder who are at 10-4. Other teams in the mix in the West include the Los Angeles Clippers and the Golden State Warriors. 12 of the 15 teams out West have more than 6 wins so far this season, which makes the conference more unpredictable on who will end up with playoff berths. Once again, the West has been proven as a wild, wild conference in the NBA. Heat retake control atop the East. The Miami Heat have silently retaken control on top of the Eastern Conference Standings, after then leaders the New York Knicks suffered back-to-back defeats in Texas against both the Mavericks and Rocketsto fall at 8-3 in the standings as compared to the Heat who are at 10-3. For the Heat, they have been doing it with their usual protagonists in tow with their Big Three of LeBron James, Dwayne Wade and Chris Bosh. James, the reigning Season and Finals MVP is averaging 26.2 points which is tied for 4th best in the NBA alongside Rockets guard James Harden, as well as 8.8 rebounds, 6.5 assists and 1 block per game on 53% shooting from the field and 43% shooting from three point range. Bosh is averaging 20.2 points, 8.1 rebounds and 1.3 blocks per outing on 56% field goal shooting. Wade is averaging 18.1 points, 4.7 assists, 4.3 rebounds and 1.3 steals per outing on 47% field goal shooting. The Heat have also been getting help from players like Ray Allen, Rashard Lewis, Shane Battier, Mario Chalmers and Norris Cole to name a few. With most of the pieces from their title run last season intact, the Heat are well poised to defend the title this season. Kevin Love returns in Minnesota. 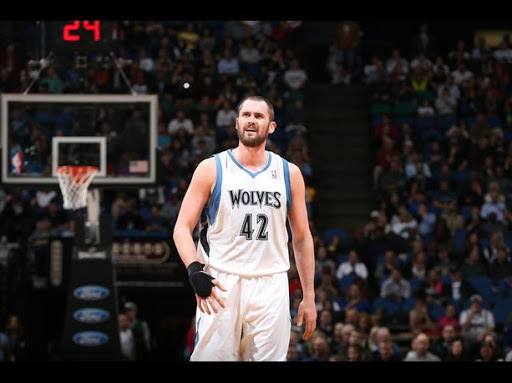 After sitting out the a month with an injury, the Minnesota Timberwolves got a boost with the return of their all-star foward Kevin Love. Love, a member of the gold medal winning US team in the 2012 London Olympics returned to action in their game last Thursday (Wednesday Minneapolis time) against the Denver Nuggets where he made his presence felt scoring a double-double 34 points and 14 rebounds. Unfortunately, the Timberwolves lost the game 101-94 against the Nuggets. As well as losing the next two games against the Trail Blazers in Portland and the Warriors in Oakland, despite Love scoring double-double outings in both games. It has been an unfortunate start to the season for the Timberwolves as they have suffered injuries to players like Love, and recently players likeBrandon Roy and Chase Budinger. Now with Love back in the fold, we’ll see if these men from the north regain their groove and contend for a playoff berth in the West. 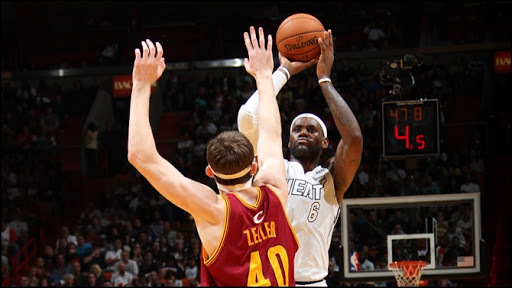 Meanwhile last week, LeBron James of the Miami Heathas won his 2nd Eastern Conference Player of the Week award. While out West, a third winner of the Western Conference Player of the Weekthis season has been named in Kevin Durant of the Oklahoma City Thunder. Here are how things look in the NBAas of today. So we got a few teams who have garnered 10 wins this season, the race has been tightly contested out West where a win can give a big boost in the standings, while a loss can be costly. Meanwhile out East, the Atlanta Hawks have silently gone up the ladder and are now in third behind the Heat and the Knicks. While the Charlotte Bobcats have already matched their win total last season 12 games in to the new season showing signs of significant improvement from last season where they finished 7-56 which was the worst finish by any team in NBA history. While the Washington Wizards have yet to pick up their first win of the season after 10 games. Stay tuned, as a new edition of my NBA weekly blog comes out next week. Eventful week to say the least. On the third week of the new school year. Well, it has been an eventful week to say the last. This week, I got to spend time with my old history professor in UST at a nearby Starbucks and shared stories over cups of great Frappucino. We share a lot in common, the most special of those commonalities is that we came from the same high school and that we share memories of our lives as students there, we also get along with other things like sports, current events, history, trivial facts, and a lot of other things. We were supposed to have our meet-up with a friend of mine, as well as his former student. Unfortunately, he was unable to come with us, add to the fact that he’s not coming back to school anymore. I was very sad to see him leave under those circumstances. He was like a brother to me, and we also shared a lot of things in common. Well I’m hopeful we’ll get to see each other very soon. Aside from that, I‘ve been getting along well with my PEEPS in my block. We get to hang out more often, and spend a lot of good time with each other. I am very thankful for them, as well to show that they really are true friends even in times where our friendship is challenged. Well, I‘m a person who is thankful to a lot of people from God, family, relatives, mentors and my PEEPS, because without them, they wouldn’t define who I am today. Aside from that, we had gone well into the new school year. More lessons have been delivered in class, quizzes, activities and home works have been given, things are getting more challenging, and finally after waiting for a long time, we met our professor in Tour Planning. Well, we also got to see our options for the international trip we are going to have next year. I’m right now, 50-50 on attending the trip since it‘s not a compulsary trip. It has been a challenging yet rewarding week to say the least. it’s tough to see good people leave, but we have to move on, think positive and continue living the dream and enjoy life to the fullest. In a couple of weeks, we’ll have our college week and a few more weeks later it will be the Christmas break. We’ll get even more busier in those times, I don’t know if I’ll be able to write another blog entry frequently. Yet like I always do, I’ll sit back, relax and enjoy the ride. Grizzlies streaking atop the West. Fear the Deer in Milwaukee. Mike D’Antoni, new coach for the Lakers. Surprise! Surprise! Teams that people least expect to lead their conferences are now doing so right now, and a coaching change completed in Tinseltown. Here are the happenings from Week 3 of the 2012-13 NBA season. After starting the season with a loss against the team that booted them out last season in the playoffs, the Los Angeles Clippers in L.A., the Memphis Grizzlies are right now the hottest team in the NBA as they have won the next seven games after their opening night defeat against the Clippers. Yesterday, they gave the then undefeated New York Knicks their first defeat of the season with a 105-95 victory at home. Now the Grizzlies, have taken the reigns from the San Antonio Spurs as the best team in the Western Conference. For the Grizzlies, they are led by a four-man machine led by Rudy Gay who leads the team in scoring at 19.8 points per game (together with 5.8 rebounds, 1.6 steals and 1.2 blocks per outing), Zach Randolph who leads the team in rebounding at 13.9 rebounds per game (alongside 17.2 points per outing), Spaniard Marc Gasol who leads the team in blocks at 1.3 per outing (together with 15.0 points, 7.3 rebounds and 4.6 assists per outing), and Mike Conley who leads the team in assists at 6.4 per outing as well in steals at 2.0 per outing (alongside 14.8 points per outing). The Grizzlies also have other good players to back up these four men like Tony Allen who is the defensive dynamo for this squad, together with Quincy Pondexter, Jerryd Bayless, Marreese Speights and Wayne Ellington. Things are looking bright from this squad from Tennessee, who knows? We could see them atop the league at the end of the season. With a stacked lineup and team that quote themselves as “We Don’t Bluff City”. These Grizzlies are there to make some noise in the ever-always “Wild Wild West”. It has been a long time since this team was relevant in the NBA, but this season, there are more reasons to say “Fear the Deer!” The Milwaukee Bucks, who are currently in 2nd in the Eastern Conference behind the New York Knicks have found their groove at the same time surprising everyone in the Eastern Conference, as right now they are ahead of more popular teams like the reigning champions Miami Heat as well as the Boston Celtics, Brooklyn Nets, and division rivals the Chicago Bulls and the Indiana Pacers. Led by one of the best backcourt duos in Brandon Jennings and Monta Ellis, the Bucks are in early position to make some noise in the Eastern Conference. Jennings, the face of these new look Bucks team is averaging 17.5 points per outing, he leads the team in assists at 8.0 per outing as well as steals averaging 3.3 per game. Ellis, who joined the Bucks from Golden State mid-season is leading the team in scoring at 20.3 points per game (together with 5.9 assists and 1.4 steals per game). Aside from the explosive backcourt duo, the Bucks have a lot of players who can step up like Mike Dunleavy Jr., Larry Sanders, Tobias Harris, Ersan Ilyasova, Beno Udrih and Samuel Dalembert to name a few. Every player on the Bucks roster can contribute. Especially in a division where favored teams like the Bulls and Pacers are going through injury issues. These guys from Wisconsin have the capability to steal the Central Division crown. Like they say there, FEAR THE DEER! Mike D’Antoni, new coach of the Lakers. Days after Mike Brown was relieved of his duties as head coach of the Los Angeles Lakers. Another “Mike” will take over the coaching reins for the purple and gold, by the name of Mike D‘Antoni. 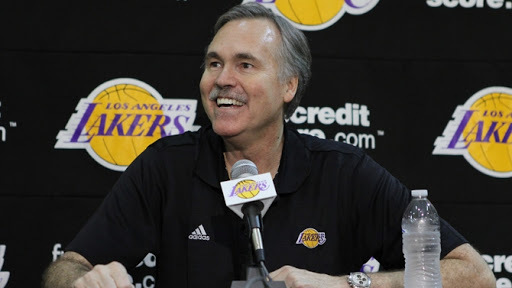 D’Antoni who was notable for his coaching stints with the Phoenix Suns and the New York Knickswas named the new head coach for the Lakers and was selected over the more popular choice among Laker fans in the name of “The Zen Master” Phil Jackson. D’Antoni’s coaching record in the regular season stands at 388-339 (53.3%) in 10 seasons as head coach (Denver, Phoenix & New York) and is 26-29 (47.3%) in 5 playoff appearances (4 with the Suns, 1 with the Knicks.) D‘Antoni will also reunite with Steve Nash whom he coached to two MVP trophies in 2005 and 2006 with the Suns. Right now there are a lot of questions for the franchise, will D’Antoni’s hiring as coach bring the Lakers out of the flux in the Western Conference and into contending for a championship where many pundits wrote about them especially with the arrivals of both Nash and Dwight Howard to join forces with Kobe Bryant and Paul Gasol. We’ll see if a proud franchise can make a large fan base happy about this season with D’Antoni calling the shots. He will make his coaching debut in Los Angeles as the Lakers will face the Houston Rockets tomorrow. Meanwhile, LeBron James of the Miami Heat and Kenneth Faried of the Denver Nuggets were named the Eastern and Western Conference Players of the Week respectively. All teams have tasted defeat this season, only the Washington Wizards have yet to taste a victory this season. We have some surprise teams on in the early hunt like the Golden State Warriors and the Minnesota Timberwolves (they’re doing it without stars Kevin Love and Ricky Rubio, as well as some players who are also out with injuries and are playing hurt)out West, while the Brooklyn Nets are living up to the hype since their move from New Jersey, while the Charlotte Bobcats are at .500 as of the moment. Watch out for the next edition of my weekly NBA blog next week. Tourism: Not for the faint of heart. “What are you taking up in college?”. This kind of question were asked to me when I was just starting at the university, where I still had little knowledge about the life as a travel management student. I let it go whenever they say that. But now, that I have gotten into the deep waters of my España journey, I have something to say whenever someone would say these words again. Well, there is a misconception about not only Tourism/Travel Management but also of Hotel & Restaurant Management courses which are under one college in the University of Santo Tomas, which is the College of Tourism and Hospitality Management. Where in one academic year, 2 out of 5 students from the college were able to graduate with honors. Unlike in other colleges where the percentages are well below. Thus creating the perception by those from outside of the college, that the programsare “easy”. However, these statistics and numbers are not as it seems. Well, because little people may know, but Tourism/Travel Management at the university is as challenging as the other programs of the university like Accounting, Architecture, Engineering, Pharmacy to name a few which have been notable as one of the most difficult courses to take. Tourism/Travel Management may not have a lot of mathematics and science subjects as other courses, as well as the technicalities of architecture and drawing, the calculations of accounting, or the scientific concepts and skills taught of the sciences and medicine. but it has it’s own set of challenges as do other courses. One would be learning foreign languages along the way. In our case, French and German. Studying a foreign language would be our version of complicated mathematics courses like calculus or drawing of plates. Aside from that a lot of other courses which include Tour Guiding where it tests our knowledge about places at the same time knowing how to deal with tourists on tours, Tour Packaging where we calculate for the cost for trips, Airline Reservations where we learn how to reserve and book flights or other trips, Events Management where we organize our own event, Tourism English (not once, but twice) which means we’re taking six English courses instead of the usual four most of the other students would take, as well as other courses that will be useful when we step into the labor force. With time well spent studying at the university, I can say with full confidence that Tourism/Travel Management is not for the faint of heart. Because right now, I am currently getting into the more technical courses of Tourism/Travel Management this semester which is dubbed by many as the “most challenging semester” for a Travel Management student. Imagine, six out of the eight courses this semester would have something to do with the technicalities of tourism. Where failure is not an option and the only way to go with is to keep moving forward. Every program has it’s own set of challenges, we can’t take away the facts that some look easy, while others look hard. However, studying no matter what program you are pursuing will always be a challenge. It takes hard work and dedication to succeed in studies as well as having a fulfilled life. Next time they’ll ask me that same question. I’ll have something to say about it. My craft is not for the faint of heart. NBA Weekly Blog: Brown fired as Lakers coach. Undefeated Knicks. Spurs atop the West once again. From firings to the early leaders in the standings. Here are some of the stories for Week 2 of the 2012-13 NBA season. Fired! Mike Brown out as Lakers coach. After spending a lockout shortened season and five games into the new season. 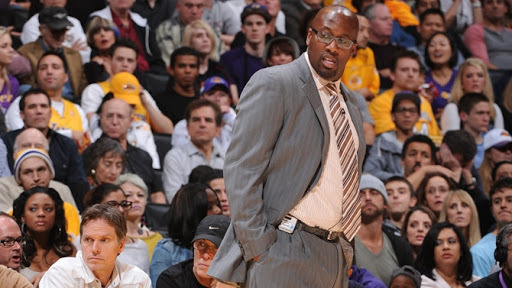 Mike Brown has been relieved of his duties as head coach of the Los Angeles Lakers. Brown, took over as the coach of the Lakers from Phil Jackson last season where he led them to a 41-25 finish during a lockout shortened season which saw them advance to the second round of the playoffs before falling in five games against eventual Western Conference Champions Oklahoma City Thunder. The Lakers started the season flat at 1-4 before Brown got the boot. Assistant coach and former Charlotte Bobcats coach Bernie Bickerstaff takes over as interim head coach for the Lakers as the franchise begins their search for a replacement. After Brown’s departure, the Lakers came out with a victory against the Golden State Warriors yesterday at Staples Center. A favorite for most Lakers fans would be to bring back “The Zen Master” Phil Jackson as head coach. The Lakers are also considering former Suns & Knicks coach Mike D’Antoni and another former Lakers coach in Mike Dunleavy, Sr.; With Brown out, who will call the shots for a Lakers team with a lot of hype coming into the season but has to find it’s calling in order to compete a top the Western Conference? A lot of uncertainties for franchise with a rich history and a devoted fan base which spans all over the world. The New York Knicks, are the only team left in the NBA this season who has yet to taste a defeat are playing inspired basketball to start the season, especially for a city which has been recently battered with extreme weather for the past couple of weeks. The Knicks are at 4-0 in the standings and are on top of the Eastern Conference ahead of the defending champions Miami Heat at 5-1. It also happens that one of the Knicks four victories came at the expense of the reigning champions when these two teams met at Madison Square Garden on opening week. Carmelo Anthony has been leading the charge for the Knicks currently averaging 27.3 points, 7.3 rebounds and 1.3 blocks per outing on 44% field goal shooting. He has also been getting help from every guy on the Knicks roster from players like J.R. Smith, Raymond Felton, Ronnie Brewer, Tyson Chandler, Jason Kidd, Steve Novak, and even Rasheed Wallace. So the Knicks are doing well so far to start the season, the question is, can they sustain it until the end of the season. That we will have to see as the season progresses. Once again, the Spurs are atop the West. A recurring theme for the last two seasons, the San Antonio Spurs this season have maintained their hold atop the Western Conference. These veterans under the long-time mentorship of Gregg Popovich have kept themselves competing year after year, and now are sitting in ahead of the Western Conference early into the new season at 6-1 ahead of the second running Minnesota Timberwolves at 4-1. They picked up huge victories against teams like the team that booted them out in the Western Conference Finals the Oklahoma City Thunder on a Tony Parker game winner on opening week as well as victgries against the New Orleans Hornets, Sacramento Kings, Utah Jazz, Indiana Pacers and the Portland Trail Blazers. Their lone defeat came at the hands of the Los Angeles Clippers in a dismantling defeat in Los Angeles. A balanced Spurs attack has been crucial for the team led by “The Big Fundamental” Tim Duncan who leads the Spurs averaging 18.7 points, 9.7 rebounds, 2.4 blocks and 1.4 steals on 53% shooting from the field. Duncan is well backed up by players like Tony Parker, Manu Ginobili, Gary Neal, Danny Green, Kawhi Leonard, and Stephen Jackson to name a few. 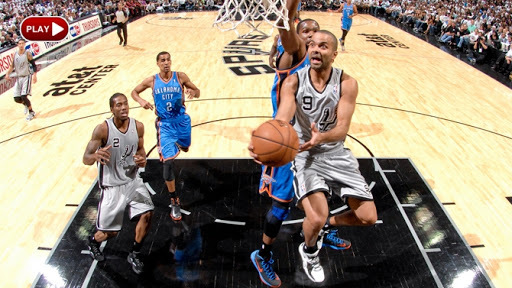 Consistency has been the name of the game for these Spurs. They may have a veteran-laid lineup, but they find ways to win games. Will it translate to another championship. Too early to tell, but these guys will be on the hunt this season. Meanwhile, James Harden of the Houston Rockets and Brandon Jennings of the Milwaukee Bucks won the first Player of the Week awards of the season for the Western Conference and Eastern Conference respectively. 1. 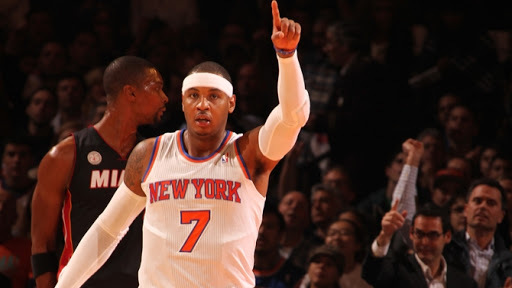 Knicks (4-0), 2. Heat (5-1), 3. Bulls (4-2), 4. 76ers (4-2), 5. Bucks (3-2), 6. Nets (2-2), 7. Celtics (3-3), 8. Hawks (2-2), 9. Pacers (3-4), 10. Bobcats (2-3), 11. Magic (2-3), 12. Cavaliers (2-4), 13. Raptors (1-5), 14. Wizards (0-5), 15. Pistons (0-7). So teams have played a minimum of 4 games and a maximum of 7 games. Still early within the season, we have seen a ton of surprises both on top and the bottom of the standings. Some teams who struggled early getting their grove back, while some teams who started well have suffered setbacks. Others see no change in their fortunes. Days in, we’re in for a great battle in the coming weeks. Watch out for a new edition my weekly NBA blog next week.